On June 20, the night before the summer of 1975 began, "Jaws" chomped through movie screens around the world, giving theatergoers a frightening adventure that would soon become a cultural phenomenon. Thus, the summer blockbuster was born. Here are many of the notable summer blockbusters that followed, in order of release date. All box office grosses per boxofficemojo.com. All of the actors in "Grease" -- including Olivia Newton-John and John Travolta -- were well past high school age, but that didn't stop the summer romance classic from becoming the highest-grossing film of 1978. The first in the Indiana Jones series, "Raiders of the Lost Ark," directed by Steven Spielberg, has grossed more than $248 million to date. "If there's something strange in your neighborhood, who you gonna call? Ghostbusters!" The catchy theme song by Ray Parker Jr. was No. 1 on Billboard's singles chart for three weeks. Photo Credit: Warner Bros. Studios. "Batman Forever," directed by Joel Schumacher, was the sixth-highest-grossing film worldwide of 1995. Pictured is Val Kilmer in the batsuit. Steven Spielberg's "ET: The Extra Terrestrial" was the highest-grossing film of all time -- until the director broke his own record with "Jurassic Park" in 1993. Steven Spielberg's sci-fi horror film "Jurassic Park" was the highest-grossing movie of all time only until James Cameron's "Titanic" came out four years later. Disney's "The Lion King" was the highest-grossing film of 1994 worldwide, with a box office total of $312.9 million that year in the U.S. alone. It remains the third-highest-grossing animated film of all time. "Toy Story 3" was the highest-grossing film of 2010 ($415 million), and holds the record for the first animated film to produce $1 billion in ticket sales. 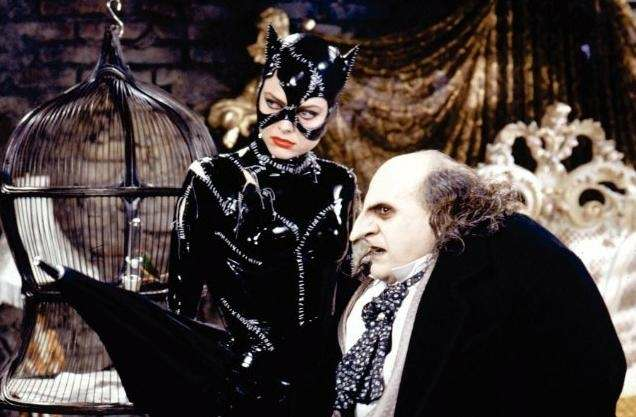 Michelle Pfeiffer crawled into the vinyl catsuit for "Batman Returns," which has pulled in nearly $163 million to date. "Duuun dun duuun dun." Composer John Williams' minimalistic theme to portray giant man-eating great white shark "Jaws" certainly scared people out of the water in 1975. The first modern-day blockbuster, "Jaws" celebrates its 40th anniversary in 2015. 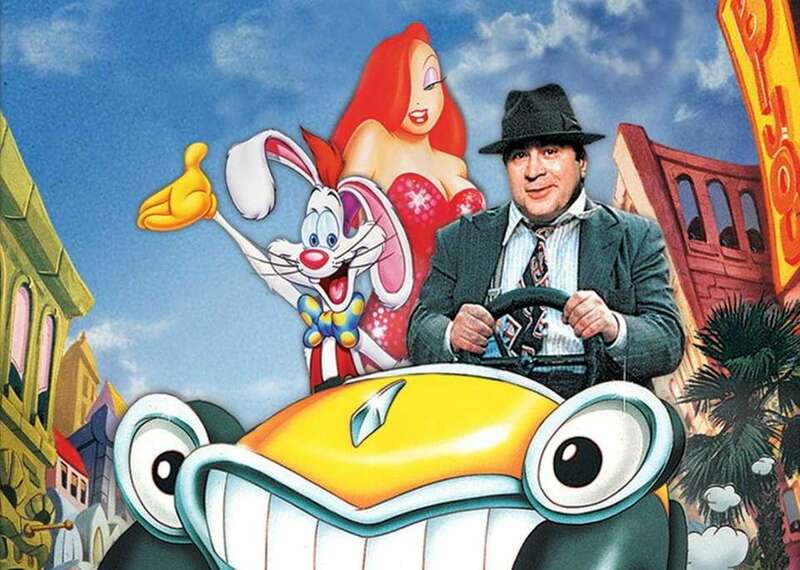 Photo Credit: The Walt Disney Co.
"Who Framed Roger Rabbit" garnered more than $11 million at the box office its opening weekend. The highest-grossing movie of 1988, "Rain Man," got just $7 million its first weekend. "Batman," starring Michael Keaton, was the highest-grossing film based on a DC comic book until "The Dark Knight" was released in 2008. "Transformers: Revenge of the Fallen" was the second-highest-grossing film of 2009, in the U.S. ($402.1 million domestic), only behind "Avatar." 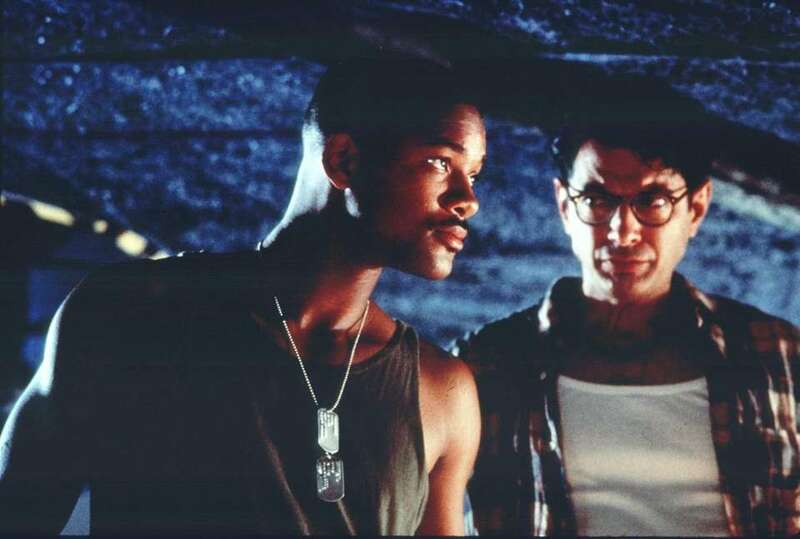 The Will Smith-driven "Independence Day," about an alien invasion, scared up $306 million at the box office to date. Look for a second "I.D." film in 2016. Sci-fi action flick "Transformers: Dark of the Moon" (2011) is currently the ninth-highest-grossing film of all time, worldwide. 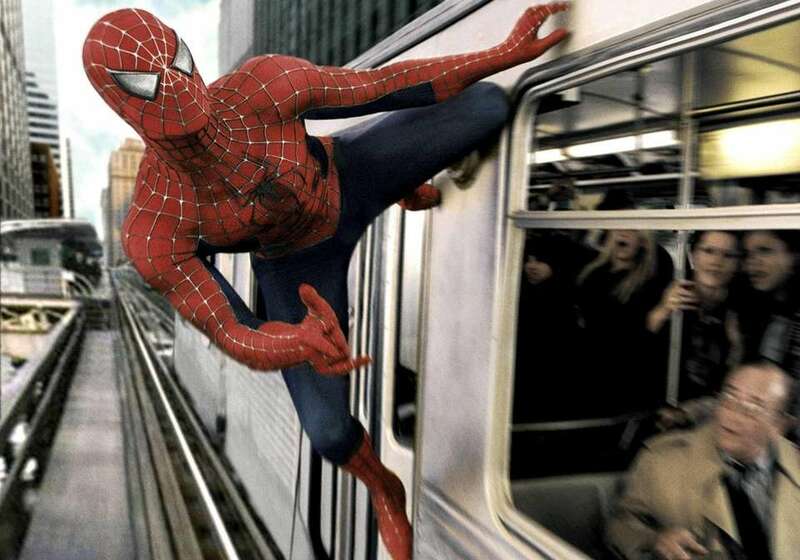 Along came a Spidey, played for a second time by Tobey Maguire, in 2004's "Spider-Man 2." Some of the movie's biggest action scenes were filmed right in Bethpage. 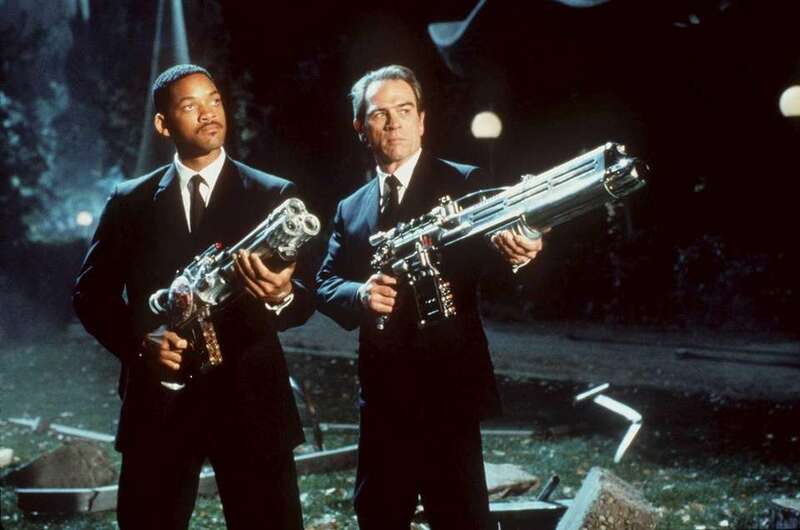 The 1997 film "Men in Black" was a smash hit at the box office, grossing over $589 million worldwide. 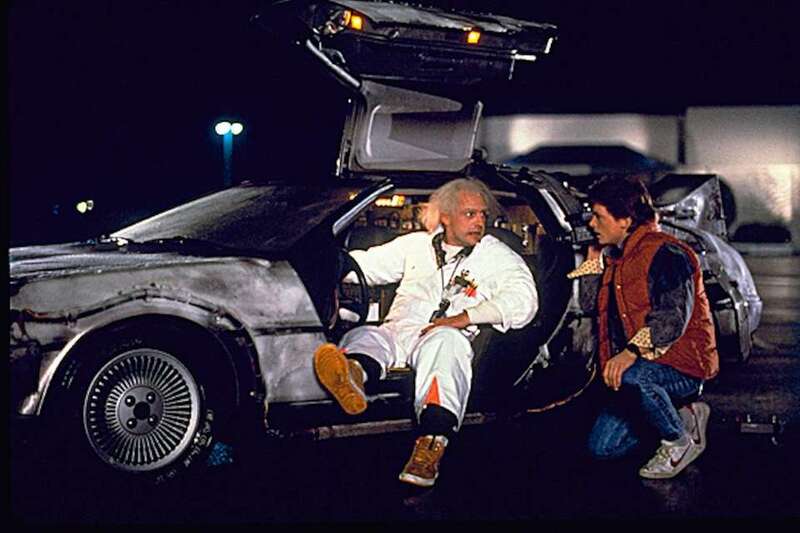 "Back to the Future" was the highest-grossing film of 1985 ($210.6 million domestic). 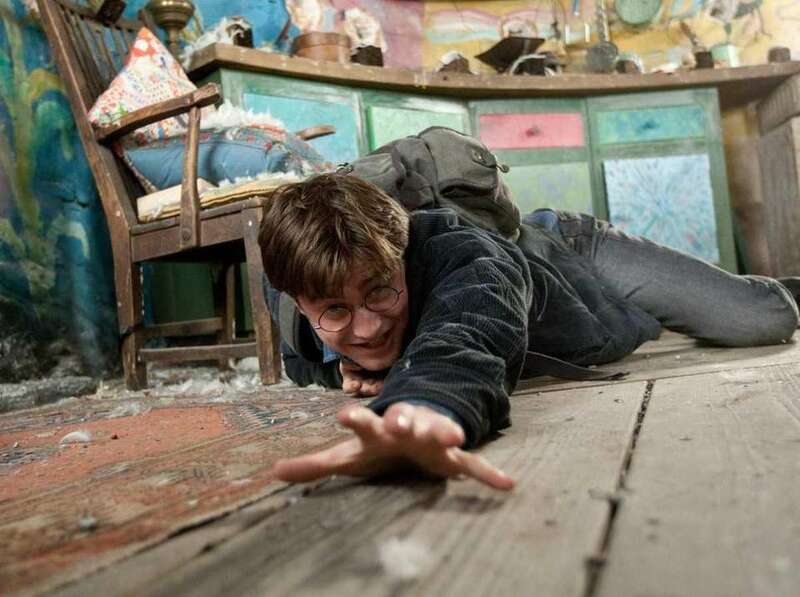 The film's script was rejected over 40 times, co-creator Bob Gale told CNN in 2010. 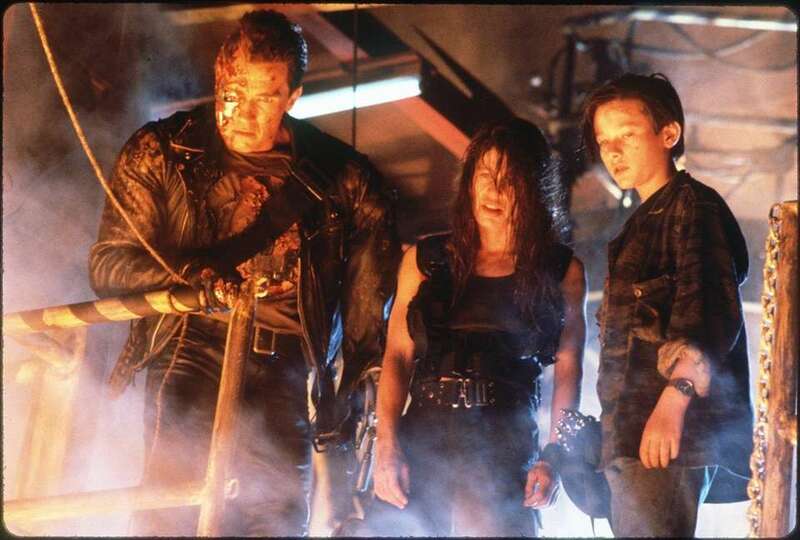 "Terminator 2" was the most expensive film ever made in 1991, with a budget of about $102 million. 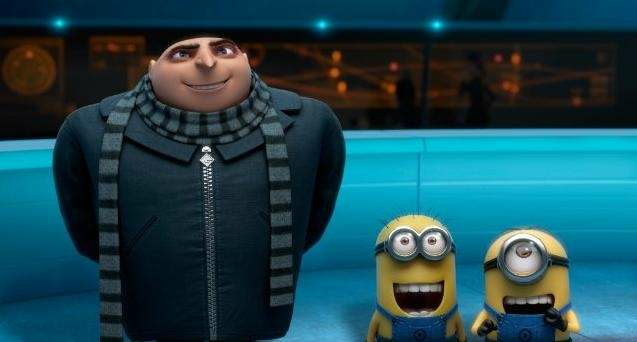 "Despicable Me 2" is Universal Films' most profitable movie ever, grossing more than $970 million worldwide. The first installment of the "Transformers" live-action film series -- which debuted Fourth of July weekend 2007 -- grossed more than $709 million worldwide. It's been more than 20 years since "Forrest Gump" (Tom Hanks) sat on that bench in Savannah, Georgia, but his lines, including, "Life is like a box of chocolates, you never know what you're gonna get," are still quoted. 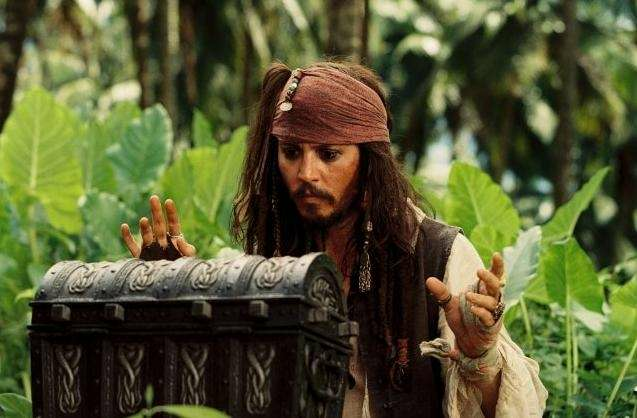 "Pirates of the Caribbean: Dead Man's Chest" is the 14th-highest-grossing film of all time. When it premiered in 2006, it was the only movie ever to gross more than $1 billion at the worldwide box office. 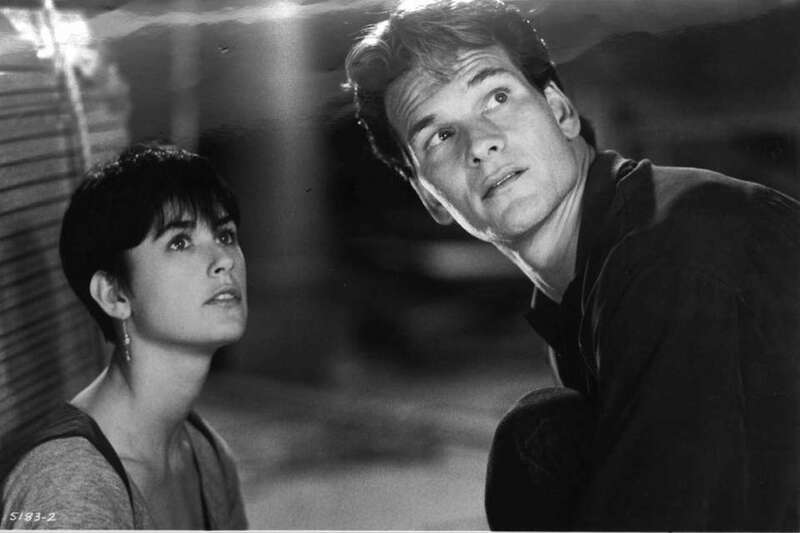 Since its 1990 release, "Ghost" -- with Demi Moore and Patrick Swayze as lovers living in different dimensions -- has dropped down the box office ranks to its current spot as the 91st-highest-grossing film of all time. "Harry Potter and the Deathly Hallows Part 2" (the final film in the series) remains the sixth highest-grossing film of all time, and only the ninth film ever to gross more than $1 billion worldwide. 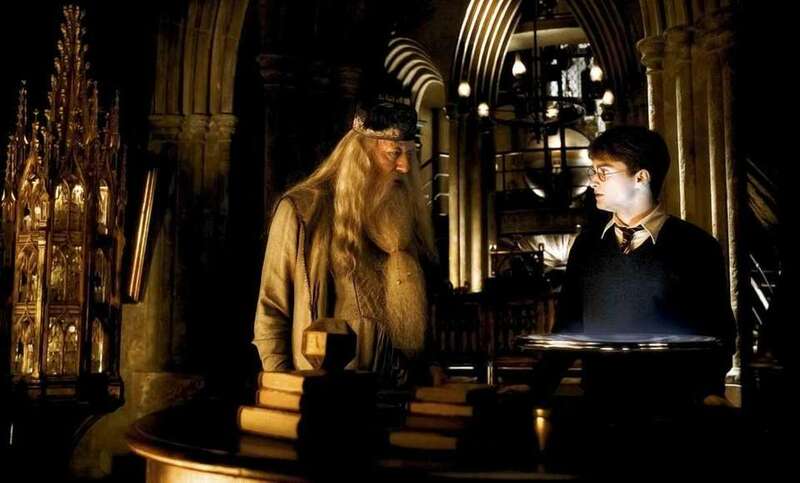 "Harry Potter and the Half-Blood Prince" -- the sixth installment in the series -- was the second highest-grossing film of 2009, worldwide, behind the highest grossing film of all time, "Avatar." Christopher Nolan's "The Dark Knight" was the top-grossing movie of 2008, earning more than $1 billion at the worldwide box office. Heath Ledger posthumously won an Academy Award for best supporting actor in his role as The Joker. Christopher Nolan's third Batman film, "The Dark Knight Rises," grossed more than $1 billion worldwide. Steven Spielberg's "Saving Private Ryan," released in1998, was selected for preservation by the National Film Registry in 2014. This blockbuster is based on the supernatural experiences the Lutz family encountered after buying the horror house on 112 Ocean Ave. in Amityville just a year after Ronald DeFeo Jr. murdered his six family members. Spooooooky. Marvel's "Guardians of the Galaxy" was the highest-grossing superhero film of 2014. A sequel is scheduled for release on May 5, 2017. Best summer blockbusters of all timeThe biggest summer blockbusters of the last 40 years? That's easy. But the best summer blockbusters of all time? That's a little more subjective. Here's one critic's opinion. The 50 biggest box office hits of all timeThe highest-grossing movies, worldwide, of all time.